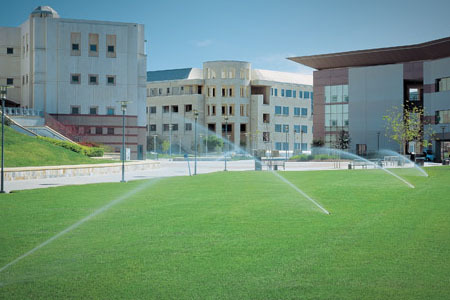 "At 4D Landscape & Irrigation we are the experts in commercial sprinkler stystems." At 4D Landscape & Irrigation, we believe that a healthy, well-groomed lawn is important, both to your professional image and your bottom line. Creating a positive first impression with a green, lush lawn can boost sales, occupancy rates, employee morale, and even affect your company’s net operating income. 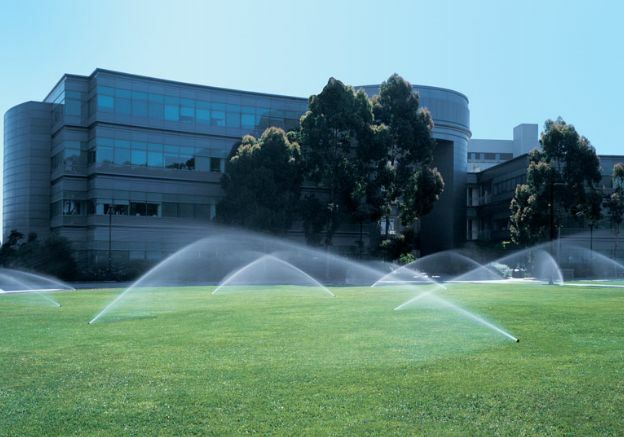 That’s why we take our commercial irrigation and sprinkler services very seriously. Our licensed and insured technicians work with commercial clients to develop a custom program tailored to the unique needs and budget of their business. 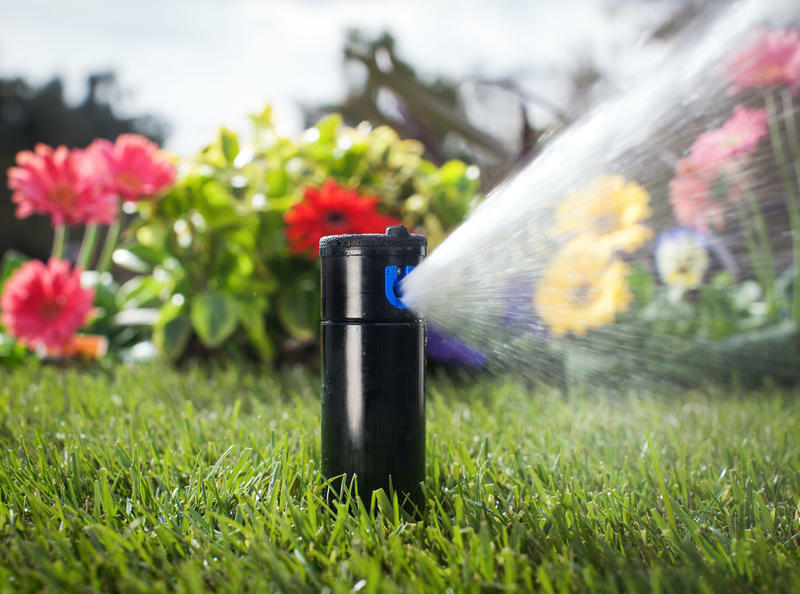 With our personalized sprinkler system irrigation and repair packages, we help businesses maintain attractive landscapes they are proud for customers, guests, and clients to see. Contact us today for a free site survey! 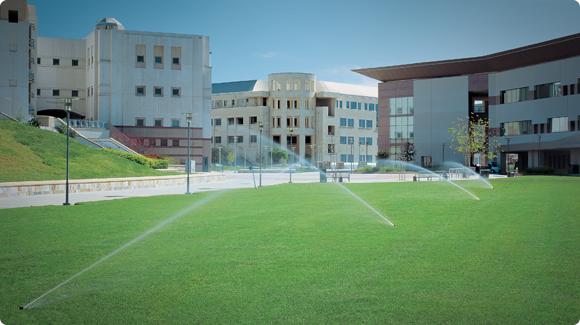 "4D Landscape & Irrigation has installed numerous campus systems." At 4D Landscape & Irrigation, we believe that a healthy, well-groomed lawn is important, both to your professional image and your bottom line. Creating a positive first impression with a green, lush lawn can boost sales, occupancy rates, employee morale. 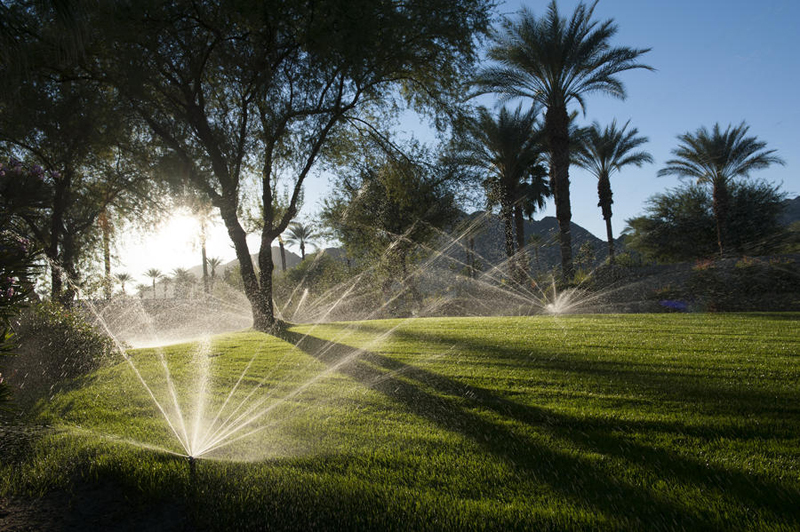 That’s why we take our commercial irrigation and sprinkler services very seriously. Our licensed and insured technicians work with commercial clients to develop a custom program tailored to the unique needs and budget of their business. 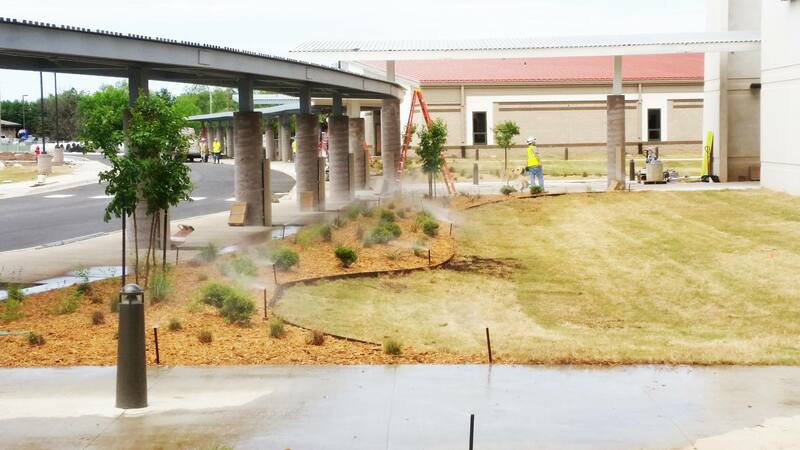 With our personalized sprinkler system irrigation and repair packages, we help businesses maintain attractive landscapes they are proud for customers, guests, and clients to see. 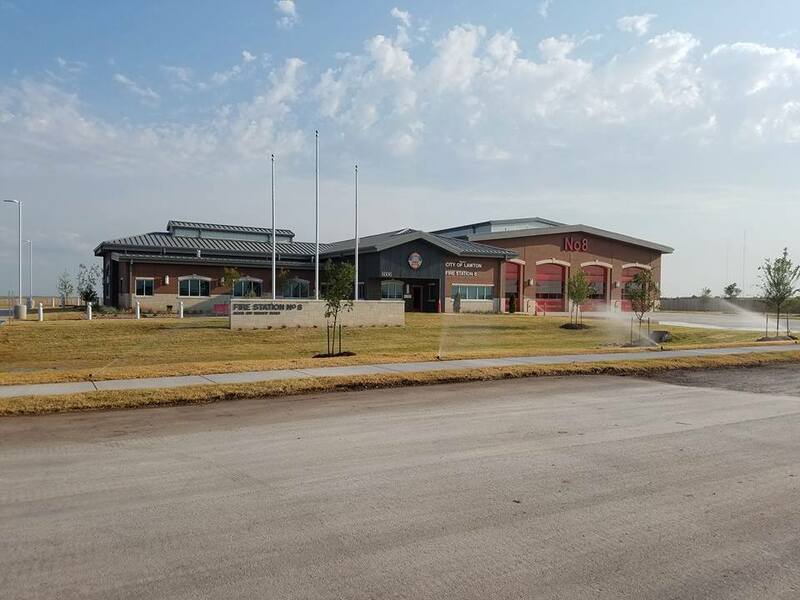 4D Landscape & Irrigation has serviced many campuses in southwest Oklahoma, Including Cameron University, VO-TECH, and Memorial Hospital just to name a few. Contact us today for a free site survey! 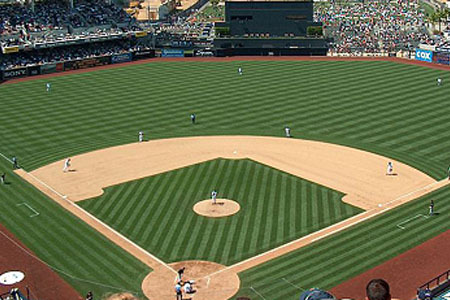 "Our list of commercial system installations includes sports complexes." Keeping a beautiful green playing field for sports like soccer, football, and baseball is important and requires lots of work. 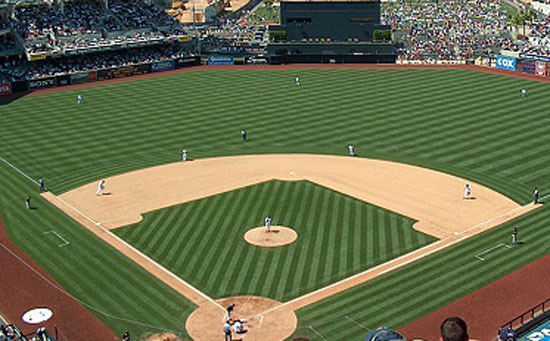 Field and turf maintenance personnel need quality equipment to their fields in tip top shape. 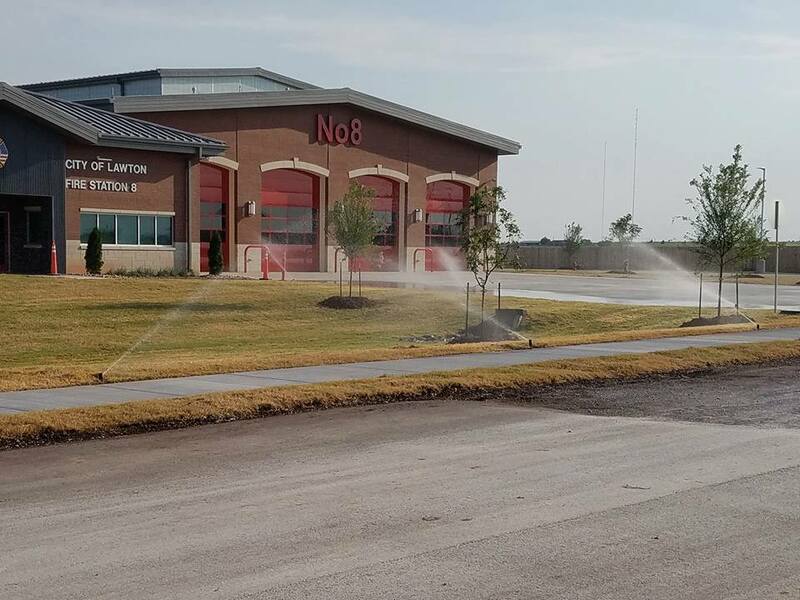 Whether you are irrigating a 300 yard football field or a entire multi-field complex 4D Landscape & Irrigation can provide you the experience and expertise you need for a new irrigation system or a plan for upgrading your current one. 4D Landscape & Irrigation has installed, maintained and retro-fitted many sports fields in SW Oklahoma. 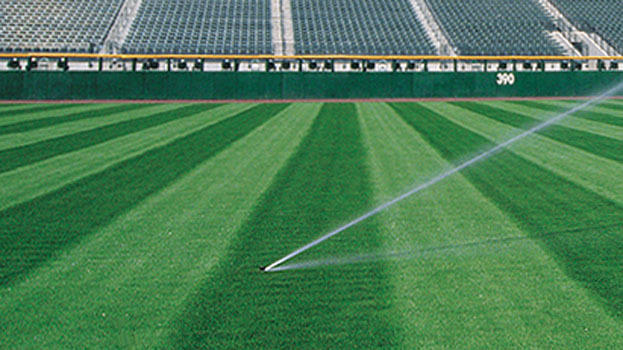 Contact us today and we will give you the expertise you need to keep your field in tip top shape. 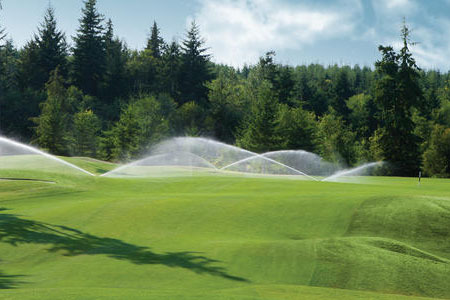 "Golf course turf requires meticulous care and a professional irrigation system." 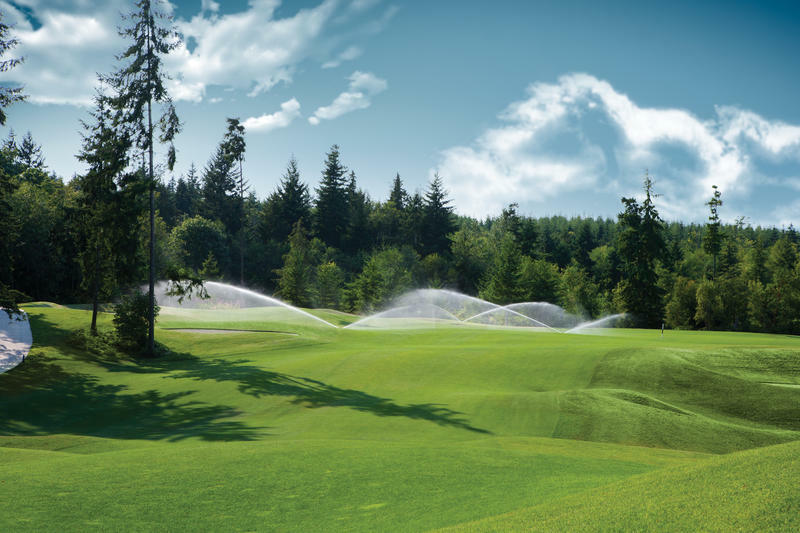 As a global irrigation leader for over 30 years, 4D Landscape & Irrigation and Hunter has developed the expertise, technology and infrastructure to create a new class of golf irrigation solutions. With our combination of efficiency, durability, and unwavering support, there's no easier way to keep an immaculate course than with our products in the ground and our people on your side. 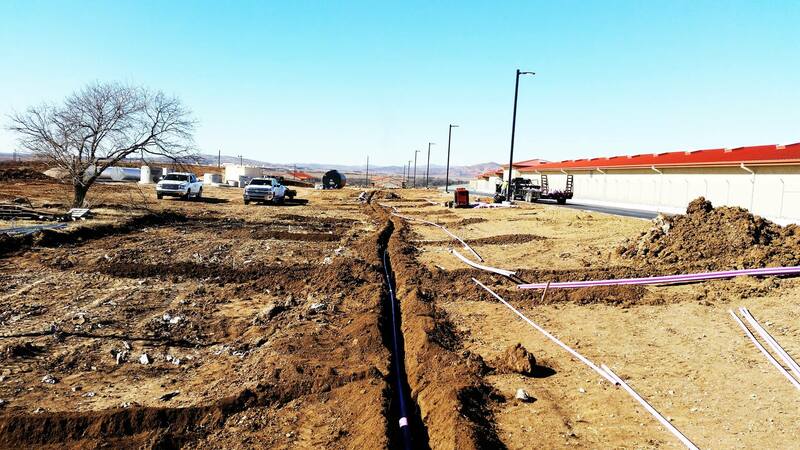 If it is a major over-hall, a repair or a new system 4D Landscape & Irrigation can solve your problems. 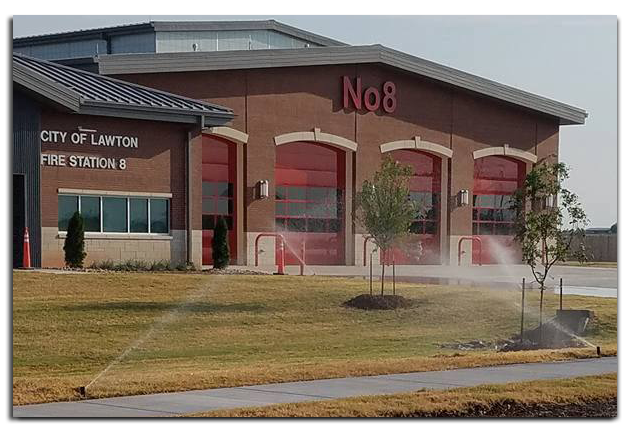 "Control water management schedules via any handheld device worldwide."